The craving for some sweet desserts got me leading 'tmcy' little hands to Middle Road (Singapore). Plastered with newspaper clippings and billboard recommendations all over the shopfront, this stall offered much more than superficial advertisement. With their signature pineapple 'golf-ball' and other traditional Chinese pastries to boast, they have quite a range of confections with a tinge of Western influence, such as fruit cakes and swiss rolls. (+) Thin layer of golden crust which was very fluffy and 'loose'. (+) The buttery golden crust was not too heavy and melts instantly in your mouth. (+) Strands of pineapple fibre in the jam, indicating usage of fresh ingredients. (+) Not overly sweet, maintaining the natural sweetness of ripe pineapple. (-) Prepare a plate to collect the flakes from the crust! (-) Limited stomach space for more. (+) Laces of rum trickling through insides of the dense dark chocolate. (+) A relatively strong whiff of aroma on the 1st bite. (+) Generous serving at approximately S$1/pc. (+) More so for the dark chocolate than the rum. (-) Much higher concentration of chocolate than rum. (-) Prefer a more equal distribution, though of course that would come at a premium. (-) Condensation occurs almost immediately straight from the fridge. (-) Might leave you with some mess of chocolate melts. (-) Only available in packs of 10 at S$10.30. Assorted fillings include: grass jelly, peanuts, gingko nut, white fungus, red bean, longan, egg white and original. 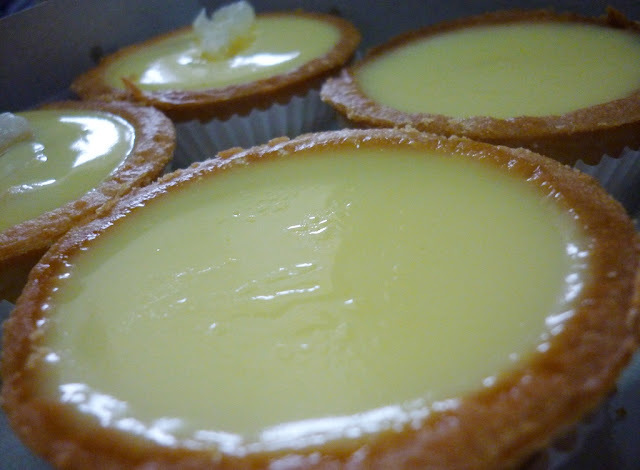 (+) Light and refreshing (consumed cold), good variation from the typical egg tarts. 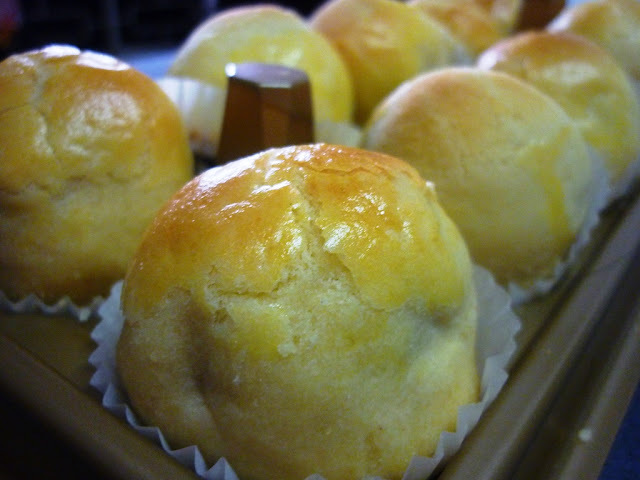 (+) Not as sweet as egg tarts and arguably a less guilty treat. (+) Solid and rather stiff crust, drawing a stark contrast to the delicate beancurd. (-) Assorted fillings were simply add-ons to the original, except for egg white. (-) As egg white is a light ingredient itself, it did little to enhance the original tart. (-) Crust might be a bit too hard if you wish to cut it for sharing. (-) Either all original or only 1 each of the assorted fillings, no changing or substitution. P.S: Would return only for the original beancurd tarts. Each of various fillings, black and white sesame, black sesame, yam, red bean, coffee, pandan, green tea and original lotus seed paste. 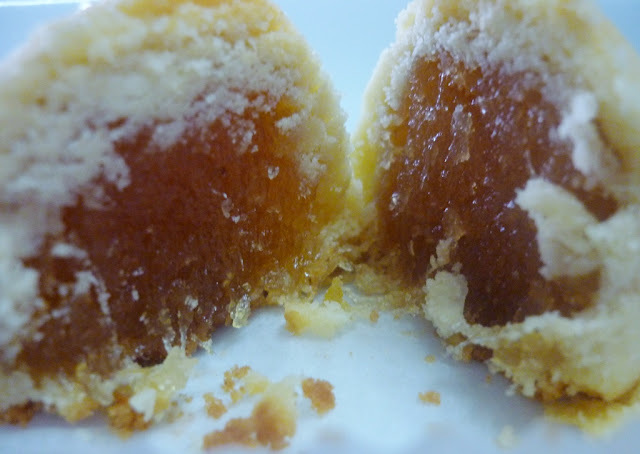 (+) With the same crust used in pineapple tarts, every bite gives that ooomph. (+) Fluffy crust that flakes easily. (+) Not overly buttery, say 'NO' to shimmering oily lips. (+) Very smooth paste in each of the pies tried, though I favoured the original most. (+) Fresh ingredients were used. 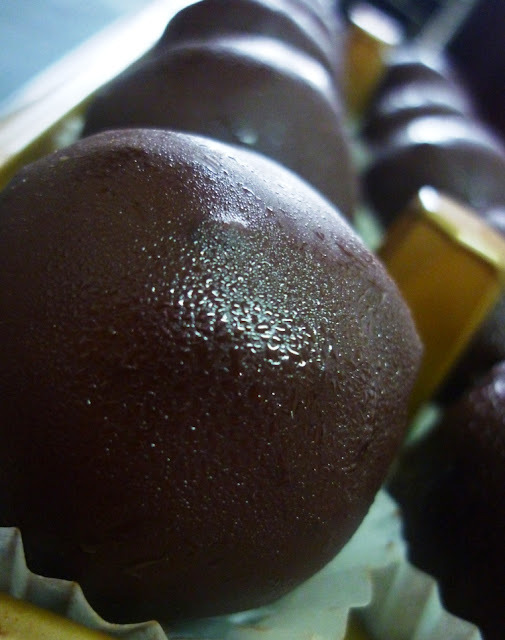 (+) Even for the pandan and green tea fillings, it tasted rich and not mere flavouring and colouring being added. 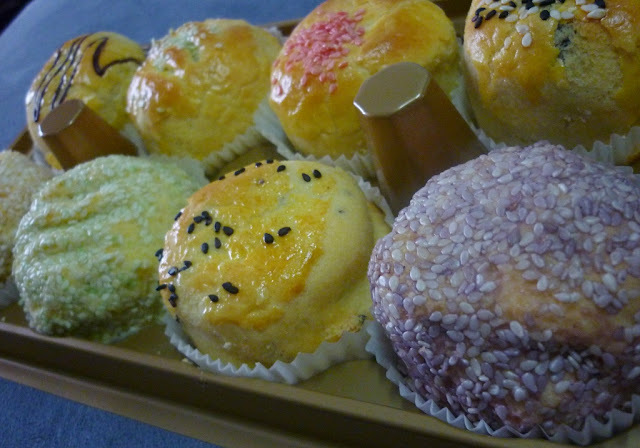 (+) Worthy price for an exuberant pastry at S$1/pc. (-) You need a plate to collect the fluffy flakes. (-) Restricted to only 8pcs packaging, 1 of each. 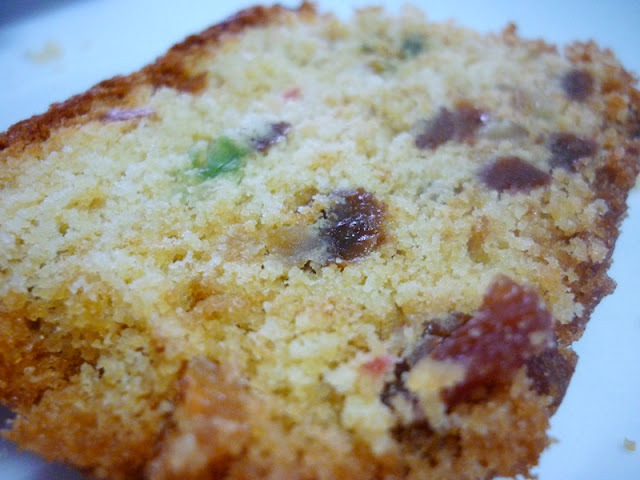 (+) Not overly sweet, allowing the dry fruits to bring out the sweetness. (+) Generous amount of dry fruits, and fairly distributed. (-) Slightly dry but suited my taste as I did not want to feel greased out by the butter. (-) Might not appeal to those looking for a rich indulgence. Exceptional customer service: The lady who sold the pastries to me forgot to include 1 of the 2 bottles of pineapple golf balls which I ordered. (I do not blame her because I bought quite a bit!) I was not unduly charged anyway after a check with the receipt. When I went back and explained the situation, the uncle gave me some of their freshly baked pipping hot cookies straight from the oven and handed them to me as some sort of 'complimentary'. A humble confectionery with some extraordinary products to showcase and outstanding customer service, it would be a shame to give this place a miss.